If you are looking at a motorcycle purchase as an investment (not really advised), one of the best things you can look for are top-of-the line models – those “S” or “R” models, or special editions, especially if they are limited runs of a few hundred or so. This Ducati 998 Matrix fits that latter category. The 998 was the final version of the Massimo Tamburini-designed 916, which many consider to be one of the most iconic sportbikes ever. The 916 was bumped to 996, and then, with the introduction of the Testastretta engine, increased to 998cc. This all-new engine put out 123 hp, and in the hands of Troy Bayliss, was good enough to win the 2001 World Superbike Championship. But, back to the Matrix Edition. 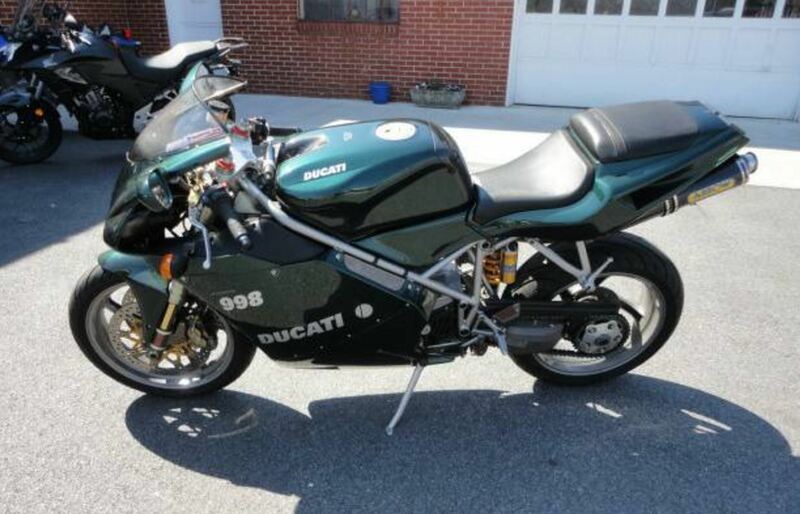 A 2001 996, painted green, had been used in a chase scene, and, due to the subsequent success of the film, and the exposure, Ducati decided to release a Special Edition bike to capitalize on it. It came out as a 2004 model, by that time a 998S. The seller claims only 321 were made. It is a striking deep metallic green. The S model meant it had Ohlins front and rear, and this bike has an Arrow exhaust. There is not very much info provided in the listing, so I would give the seller a call regarding mileage, service and history, but if you were looking for a classic Ducati with investment potential that was a blast to ride, this would be a viable option. 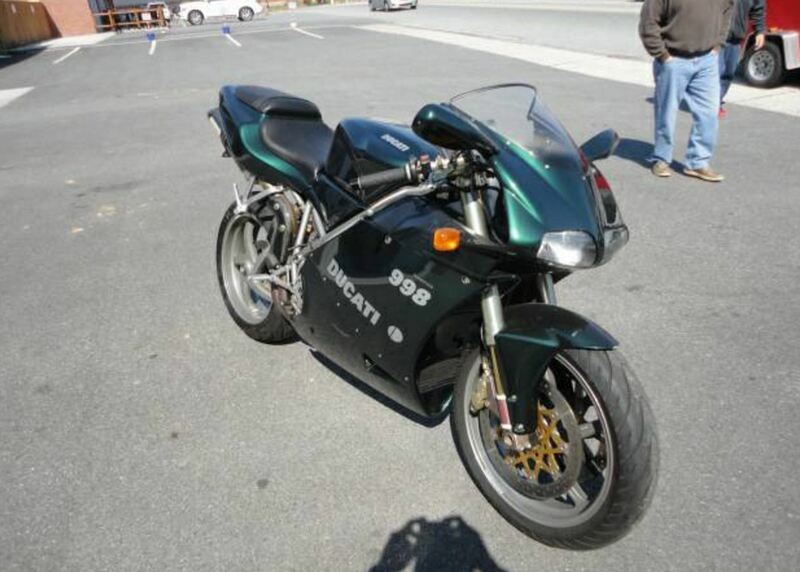 This Ducati 998S is located in Blairsville, GA, and offered here on Craigslist for $6,800.